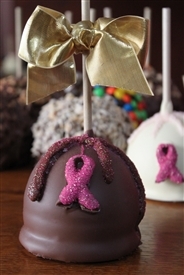 Our Breast-Cancer Awareness Caramel-Chocolate Apple is designed to honor and raise awareness of Breast Cancer Research. 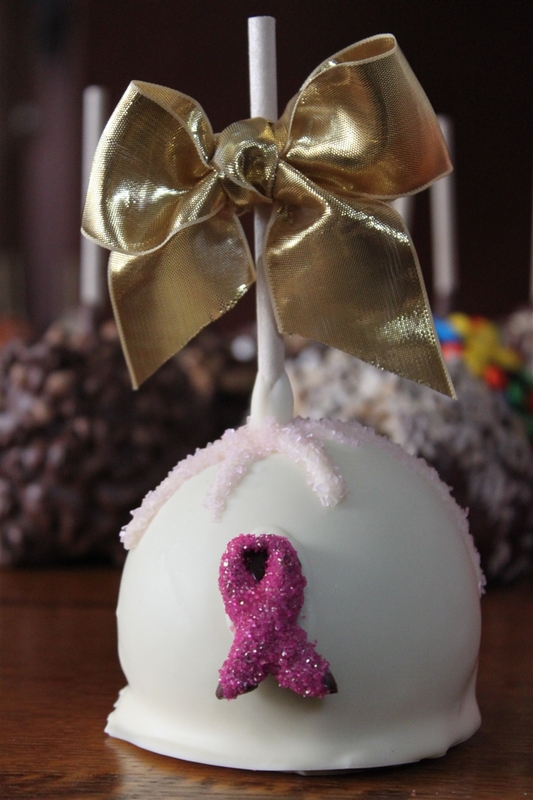 We donate 20% of the price of this apple to the American Cancer Society. It is one of the causes we feel strongly about. These are available in milk, dark or white chocolate.